The company had on Friday reported 17.7 per cent growth in consolidated net profit at Rs 8,126 crore for the March 2019 quarter. 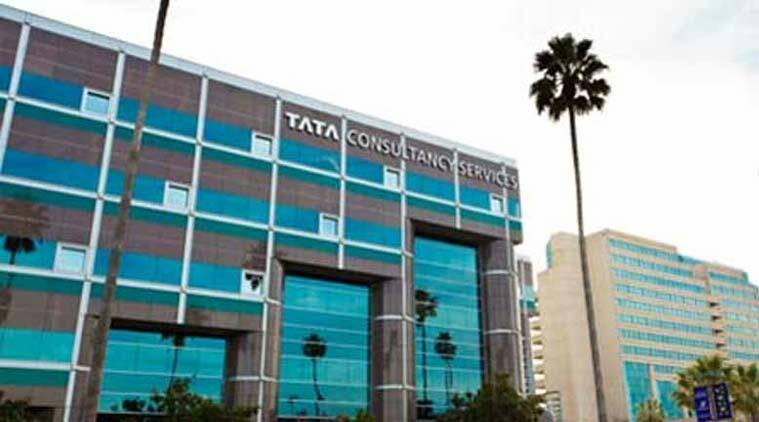 Shares of Tata Consultancy Services (TCS) on Monday closed nearly 5 per cent higher after the company reported 17.7 per cent growth in consolidated net profit for March 2019 quarter. The scrip gained 4.78 per cent to close at Rs 2,110.05 on the BSE. In a regulatory filing, TCS said it had reported a net profit of Rs 6,904 crore in the year-ago period. The company’s revenue grew 18.5 per cent in January-March quarter to Rs 38,010 crore from Rs 32,075 crore in the corresponding period last fiscal, it added. On the other hand, another IT major Infosys slipped 2.83 per cent due to concerns over revenue guidance. Infosys posted a 10.5 per cent rise in consolidated net profit at Rs 4,078 crore for the March 2019 quarter and guided towards 7.5-9.5 per cent growth in revenue for FY 2019-20. The IT index outperformed due to weak rupee and optimism in earnings growth. On Monday, the BSE benchmark Sensex closed 138.73 points or 0.36 per cent higher at 38,905.84, while the broader NSE Nifty ended the day with a gain of 46.90 points, or 0.4 per cent, at 11,690.35. An encouraging start of the corporate earnings season, positive cues from global markets and expectations around US-China trade agreement lifted market sentiment. Mumbai: The rupee Monday declined by 25 paise to close at 69.42 against the US dollar as forex traders turned cautious in a holiday-truncated week.